The bedroom is supposed to be a sanctuary, the one place in the world where you can relax completely. When life gets too overwhelming, this is where one can find a soothing place to sleep, chill out with a good book without being disturbed or simply spend time with one’s partner or family. Some people feel stuck in a room that feels too small, but size doesn’t necessary have to be too limiting. 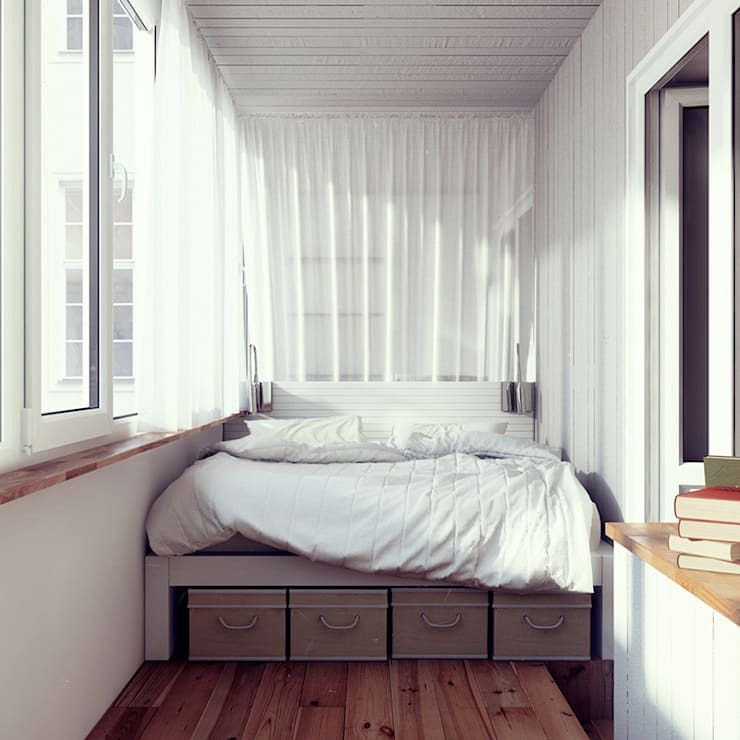 Even small bedrooms have endless potential to be the most tranquil place in the whole house. When designed properly, a tiny bedroom can transform from cramped to cozy. 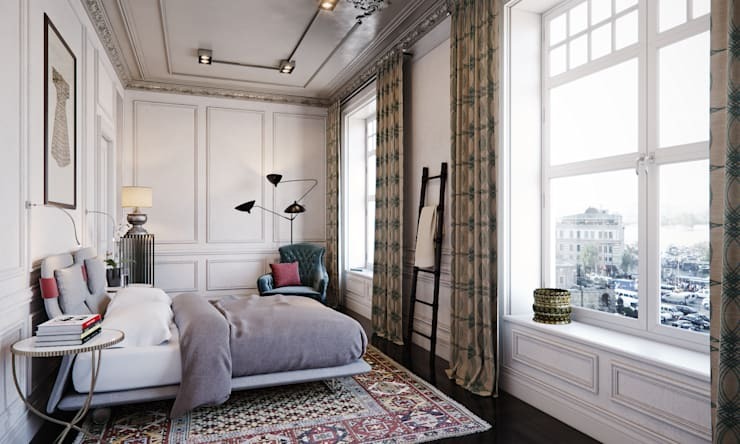 Here at homify, we’ve put together a collection of 15 great bedroom designs that make the most out of small spaces. Check out these clever solutions that can give you some ideas in making your cozy nest a more pleasant place to be. This bedroom is the perfect start to the list because it illustrates wonderfully how less is more. Neutral hues are soothing to the eyes and there are little décor on the walls or the floors. With little clutter to crowd the space, the bedroom feels more expansive than it really is. The absence of too much stuff inside the room also makes it easier to lay back and relax at the end of a long day. If the bedroom is far too small for your liking, try mirrors. Large mirrors provide an illusion of depth, a nice trick that are popular in tiny houses. It also adds light and luster to the room. The larger the mirror, the more effective it is in expanding the room’s size. Since a mess is an absolute no-no in small bedrooms, ample storage space is a must. With a limited floor area, it might be time for some creativity! For rooms not equipped with closets, a wall curtain can keep clothes and other possessions out of sight. 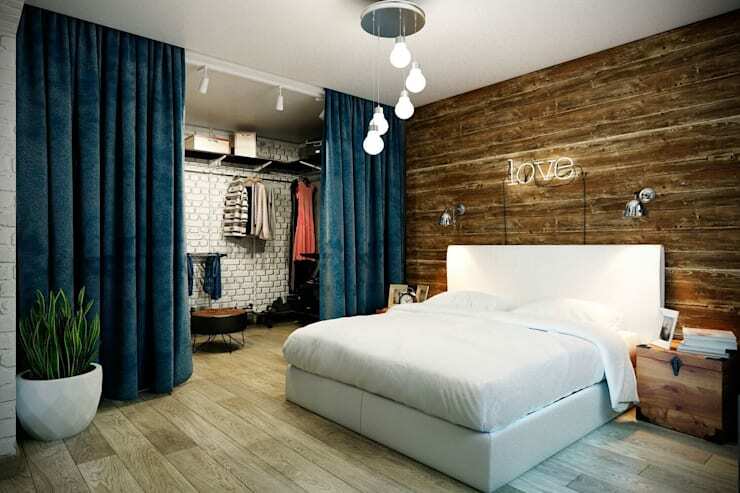 Create a cool “closet” that complements the rest of the bedroom like the featured home above. 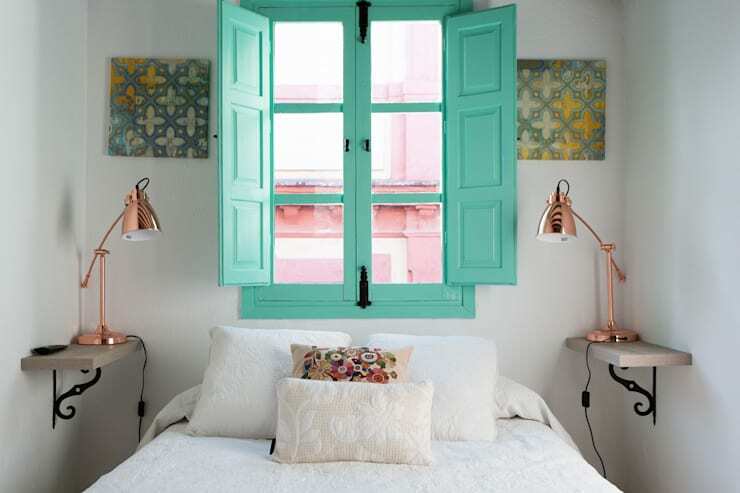 Natural light has great effects in small bedrooms. Designers usually seek to fill rooms with as much brightness as possible. Large windows are preferable, opening up a small room and keeping it bathed in natural light. Do away with thick curtains or heavy roller blinds. 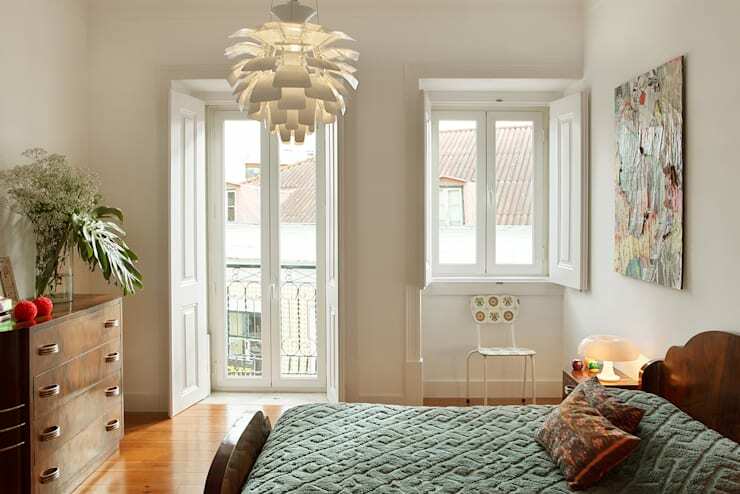 Instead, opt for light systems or blinds that dim the room during the night. Sometimes, a house has such a limited space that a few rooms need to serve multiple functions. If you don’t have the extra room for a home office, ask your designer to dedicate a small corner in your bedroom for a desk and some storage for your work. Clever furniture that fit in the nooks and crannies of the room can do the trick. Bright color worlds do wonders in small spaces, making the room seem bigger. 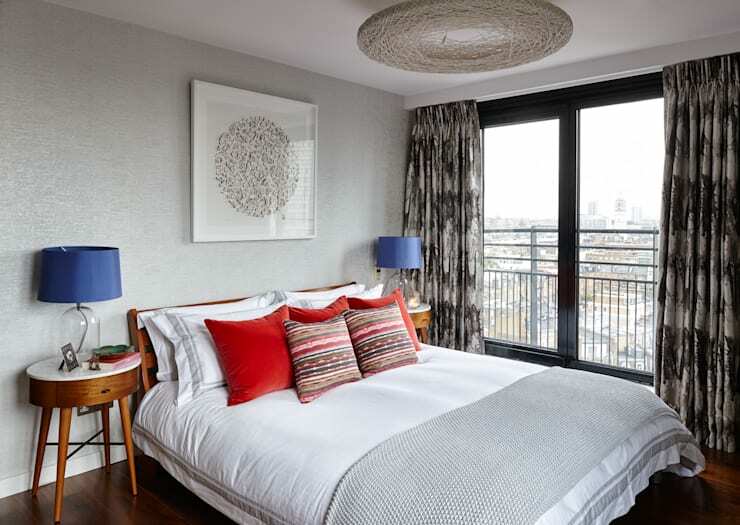 In bedrooms, one can simply use bright textiles and accents. Vibrant cushions, bedspreads and lamps add much-needed color to the sanctuary, plus providing extra character to your personal space. Artwork can also be a nice touch, but don’t overdo it that the room gets too crowded. 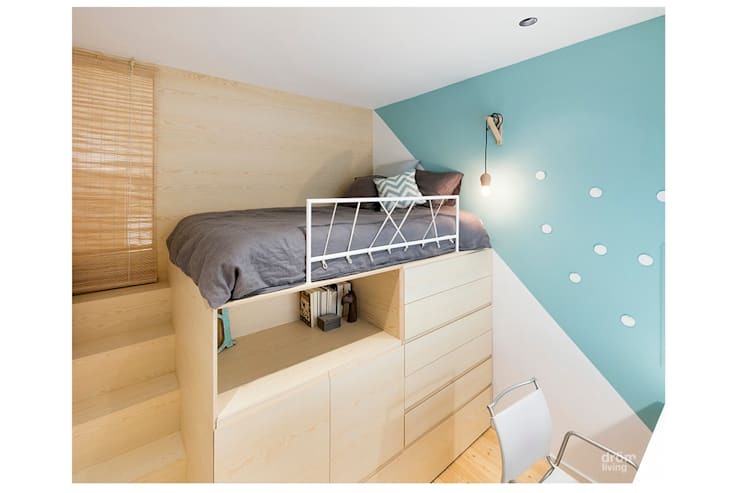 Here, we see a room so narrow that it has just enough space for a double bed. Instead of having a closet, the storage space was built underneath the bed where drawers provide plenty of room for all your stuff. This is an innovative solution for small bedrooms, maximizing nearly every inch of available space in a room that is far too small for regular room layouts. Folding furniture like this bed is a great idea to create space in the room. This way, the residents can benefit from every available inch of space – and only use the space for a bed when it’s necessary. 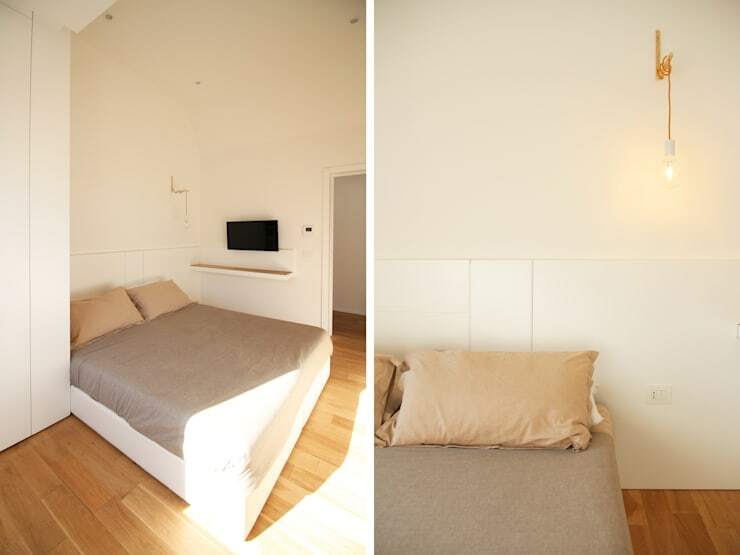 The fold-down bed system is particularly clever, a system that doubles as a room divider in an open layout. Sure, a small bedroom can feature a large closet. A custom-made cabinet is best to make sure it fits and maximizes the available space. Diverting the attention is also a good technique in designing small bedrooms. Paint one of the walls a strong color or design it with a print, decal, painting or photograph. This wall can be a complementing contrast to the rest of the neutral-colored walls, and distract the attention from the size of the room. A beautiful brick wall can achieve the same effect as the last point. It can give the room an attractive industrial vibe, especially when paired with décor that are modern. 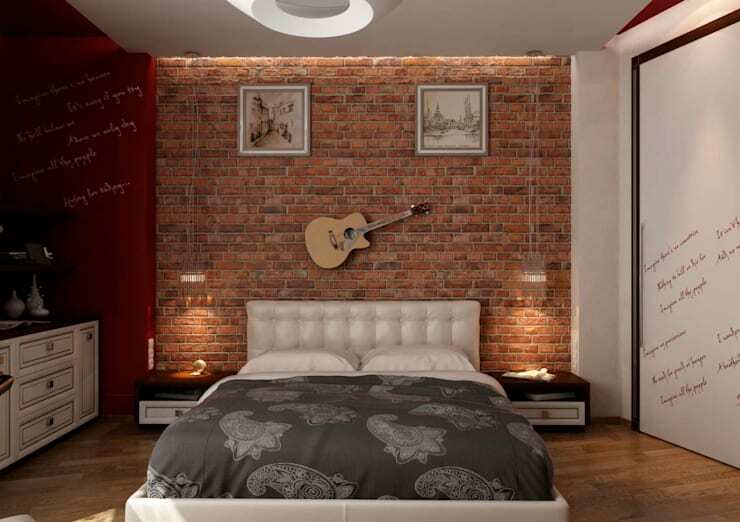 Finishings like the guitar on the wall add to the special character of the bedroom. 12. Light, light and more light! It cannot be emphasized enough: light is key to a beautiful room. This is especially significant in small bedrooms, which are prone to appearing dark and cramped. Natural light is wonderful, but artificial light is just as important as it complements sunlight in the morning and brightens up the room at night. Hanging light fixtures and lamps are good choices. A hanging rack is one of the staples in the bedroom. Why not be a bit creative and use a small ladder instead? Not only is it an effective way to keep clothing and towels organized, but it is also a charming design piece. Another positive effect: in hot summer days when the air in the house is very dry, the damp towels add a bit of moisture back in the room. Another way to inject some of your personality into your room: messages on the wall. With giant letters available in craft stores, write down your motto or a meaningful quote above the head of the bed. This stylish and charming feature is always a nice touch in the bedroom. You may have very little space to expand wider, but you can always go vertical. Think out of the box and play around with the space so you can fit everything you need. In the featured photo, we see a custom-made bed perched atop the wardrobe – an innovative space saver! For more tips on making the most of small residences, read these 11 practical space-saving solutions for the modern home.